After my food dye tutorial a few people have asked for a tutorial using cotton. Well here it is! For this tutorial I got all my items from Lincraft. If you’re in Australia they are the ones to use! Such fast shipping and quality cotton. 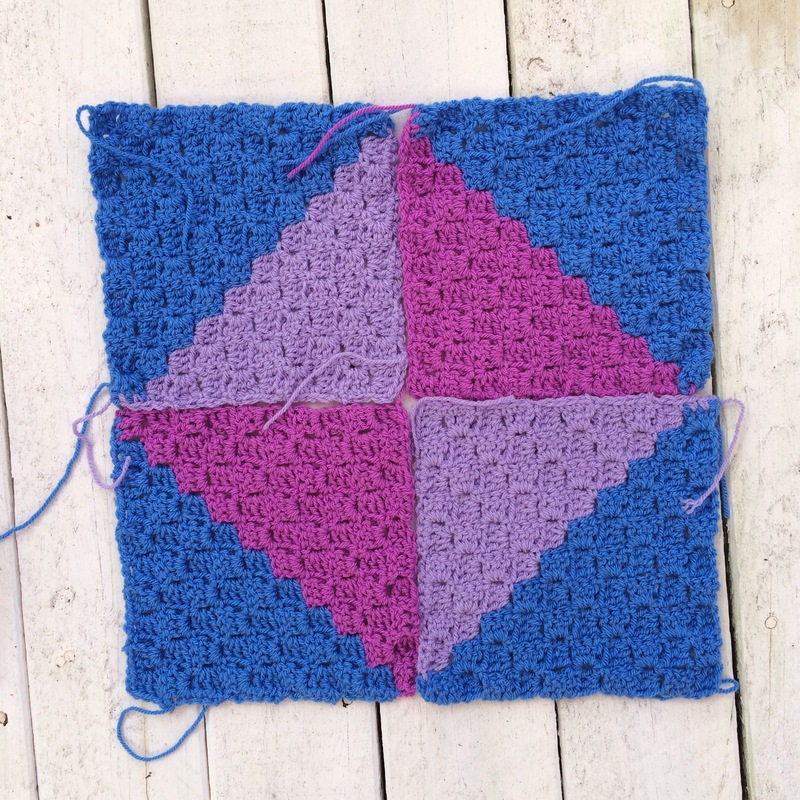 I began with crocheting my squares, but you can also dye the uncrocheted item. I love the chunky look so doubled the yarn and used an 7mm hook. Once everything is crocheted up it’s time to prepare for dyeing! There are several ways to dye cotton, and my way is just one of many. I found it worked for me, but experimentation is the key. Once again, I did this outside as the dye is unforgiving. I wrapped my crochet squares with elastic bands. This was basically to keep them together for the first stage. Don’t worry too much and you don’t have to do this step if you don’t want to. Next I mixed the dyes with warm water. Always follow the directions on the packet, but in this case I mixed one pack with 250ml water. I put this into the squeeze containers. Make sure it is well mixed! The containers make it easier to control the dye and is different to traditional dyeing where you submerge the item into a bucket of dye. Now if the fun part, make sure your gloves are on! Pour the dye into the cotton. Small amounts at a time until you are used to it! There is no right or wrong way. I found adding a tiny bit of water and squeezing the dyes together gave a really nice effect and helped them blend. I then cut the elastic bands off and filled in the remaining areas with dye. Keep going until you are happy with the results. Place your item into a plastic bag and leave overnight where cats/dogs/small children cannot get at it. Rinse the item in water until the water runs clear. Place somewhere to dry and enjoy! The result is unpredictable and amazing! I love playing with colours and seeing what happens. I’ll turn these into cushions so stay tuned for photos! 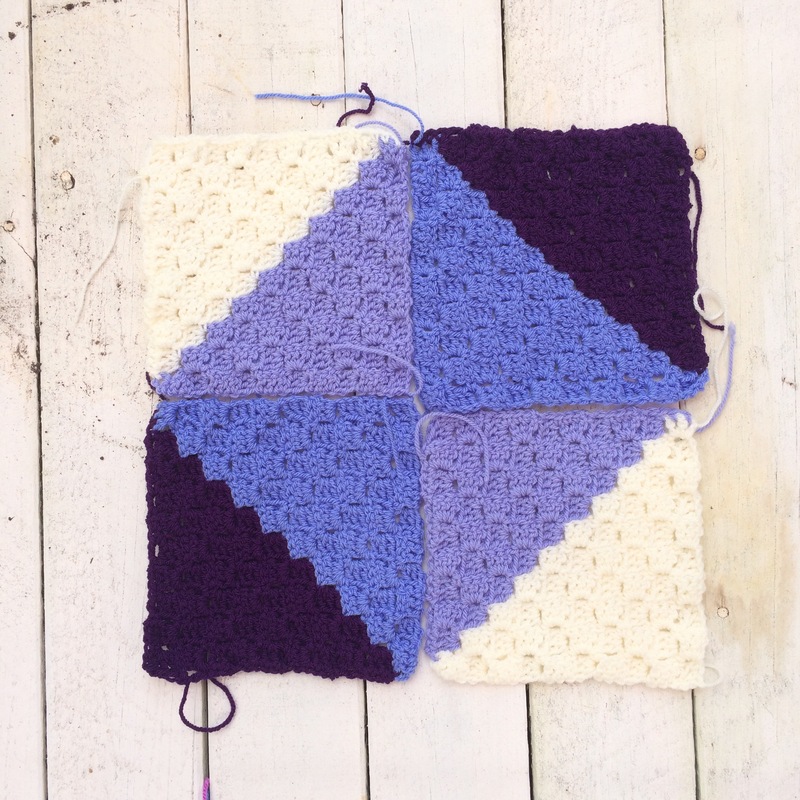 The corner to corner pattern is really simple and quick to work up. By simply changing the direction of the square there are endless possibilities and ways to create something unique. These blankets require a bit of planning but the results are amazing. 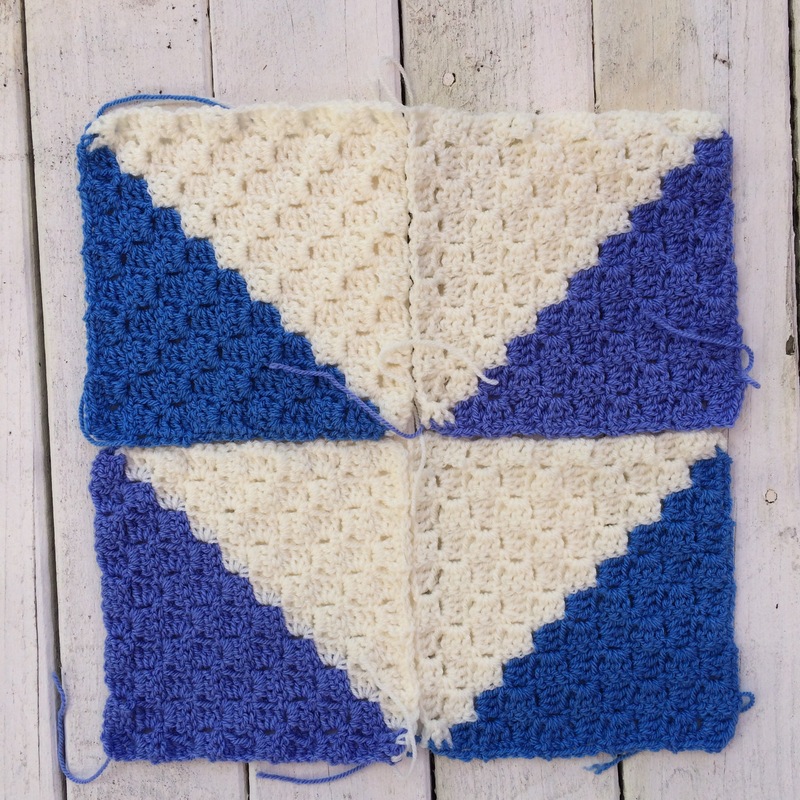 I like to make squares 10 rows x 10 rows and change colours half way through. There are no rules with these blankets and it’s easy for your creativity to take over! This is great for a feature colour. The diamond pattern would look great repeating over the blanket! This would make a chevron style blanket. Use two colour for a bold look, or choose 1 bold colour, and 2 similar shades for a cool 3D look. 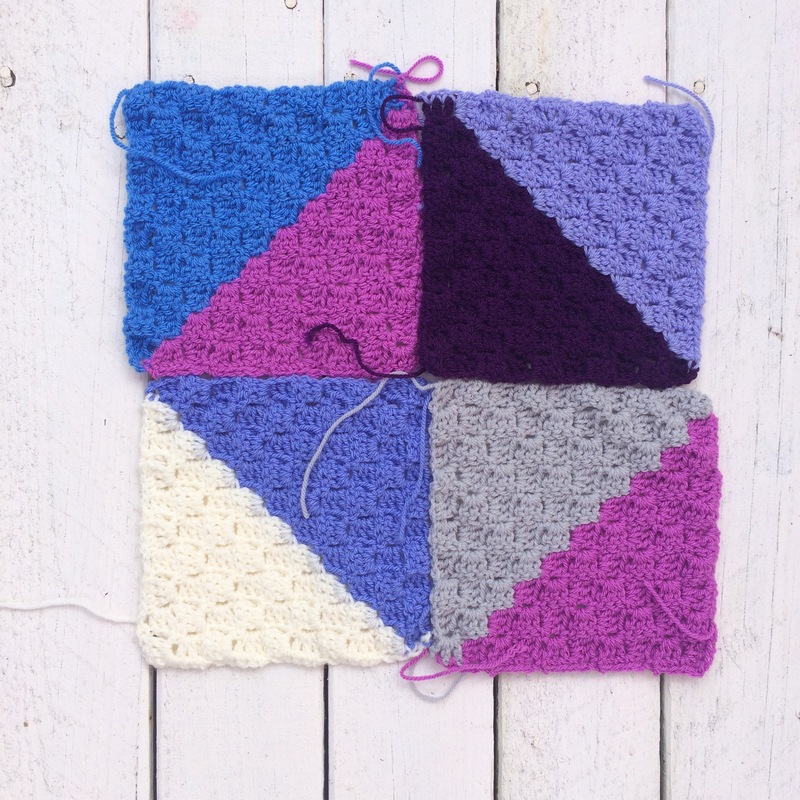 With a big of planning on paper before you start this blanket would look fantastic! Imagine bold diagonal lines! 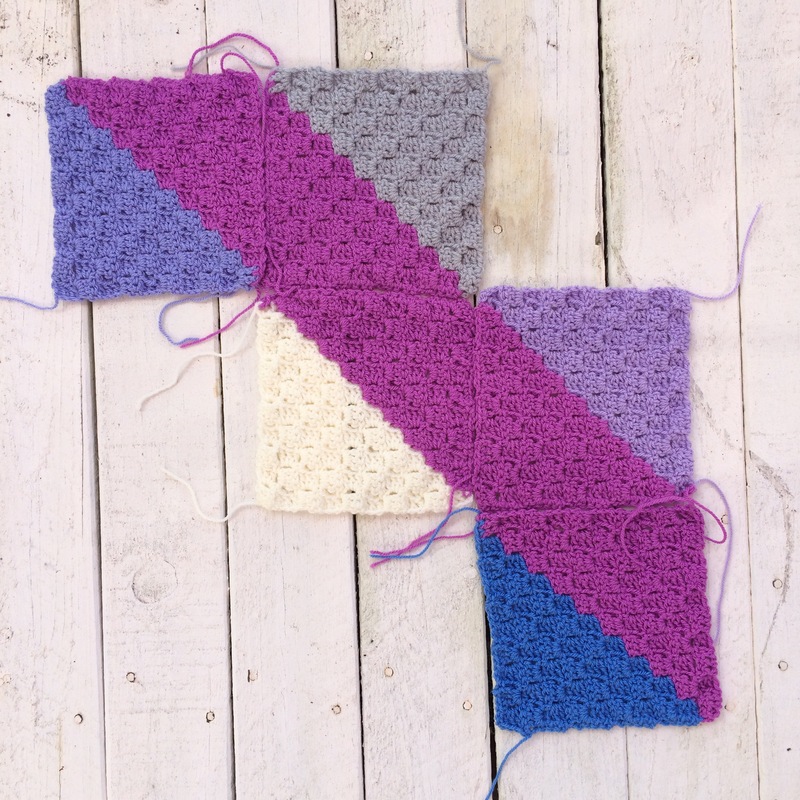 There are several ways to customize this blanet too, choose 1 bold colour and have the diagonal line repeat every second ‘row’ or have the whole blanket as several diagonal lines! This is a cool design which looks best with 3 colours. Choose 2 similar colours for the centre and 1 bold colour for the outside. You can also customize this by having another set of colour and creating a checkerboard effect. This is an awesome idea to make a colourful blanket with bold shapes and lines. The repeating pattern would look great or mix it up with another set of colours. I’ve seen a lot of people using their custom crochet hooks and thought I’d give it a try. They’re really simple to make! The hardest part was deciding on colours! Simply roll your clay into a flat even rectangle. Get creative with colours and designs. Once you are happy with your designs preheat an oven. Please follow the directions on the packet for maximum temperatures. Put our baking paper on your tray and carefully place your hooks. I cooked mine for 7 minutes before turing them over and cooking for another 7 minutes. Be very careful as thy are boiling hot. Allow them to cool completely before touching with your bare hands. And you’re done! Enjoy your custom crocheting hook.